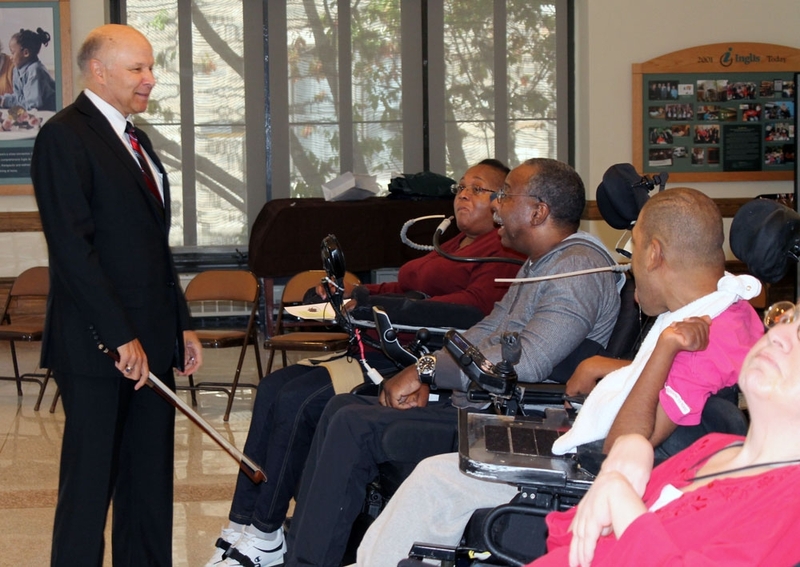 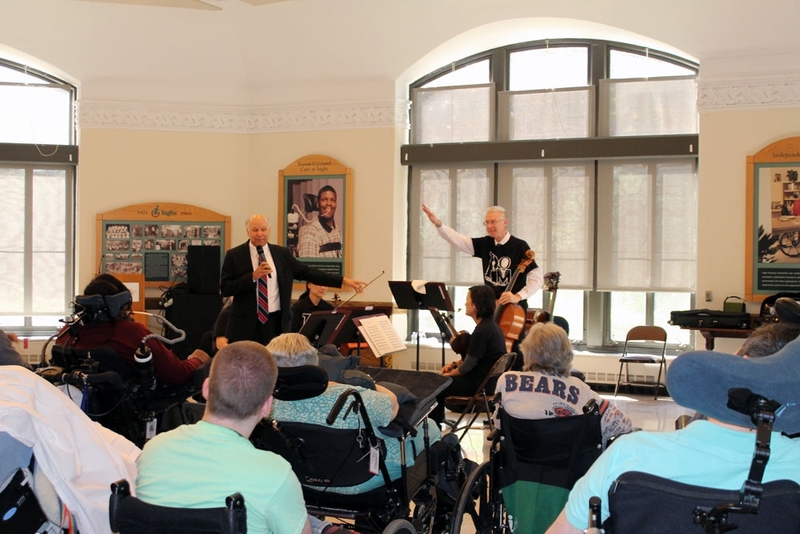 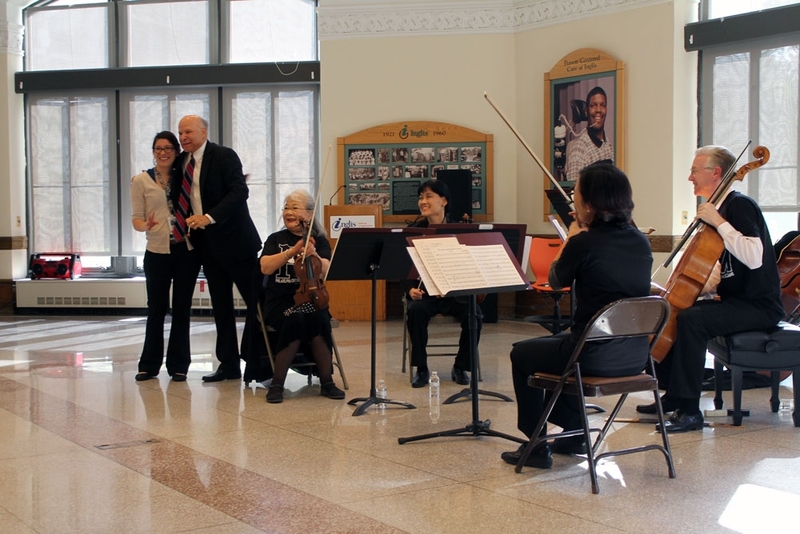 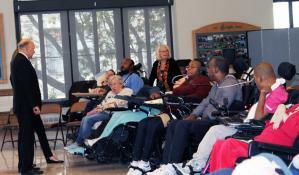 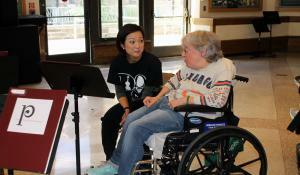 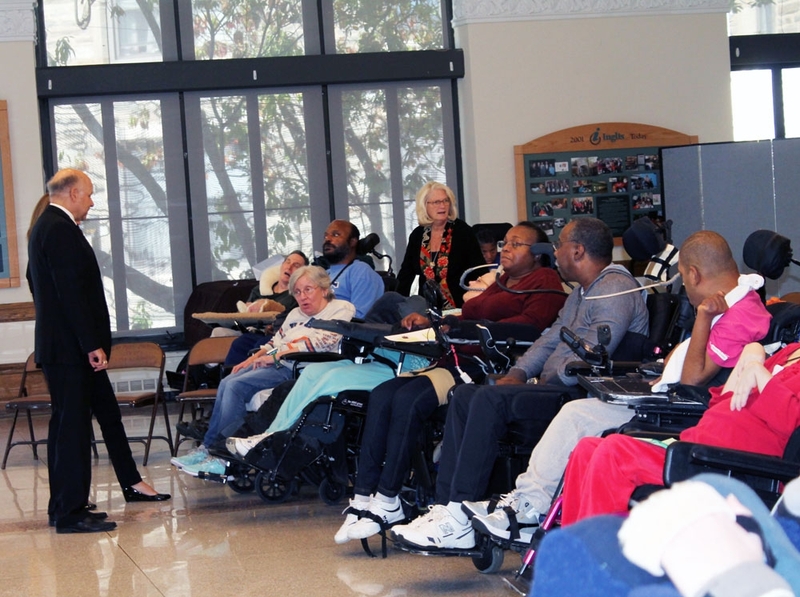 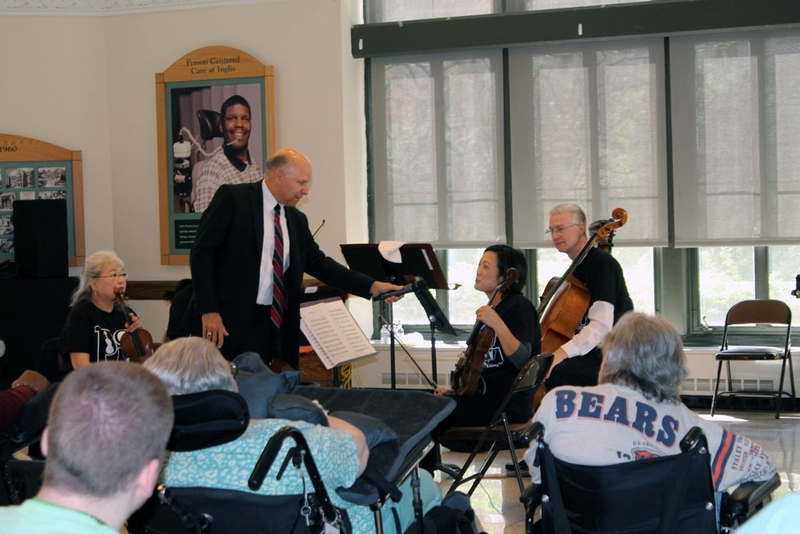 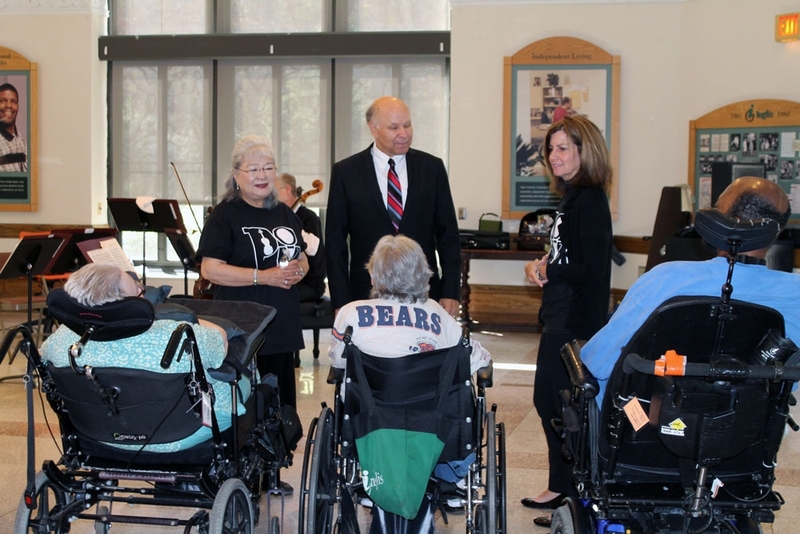 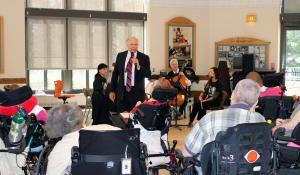 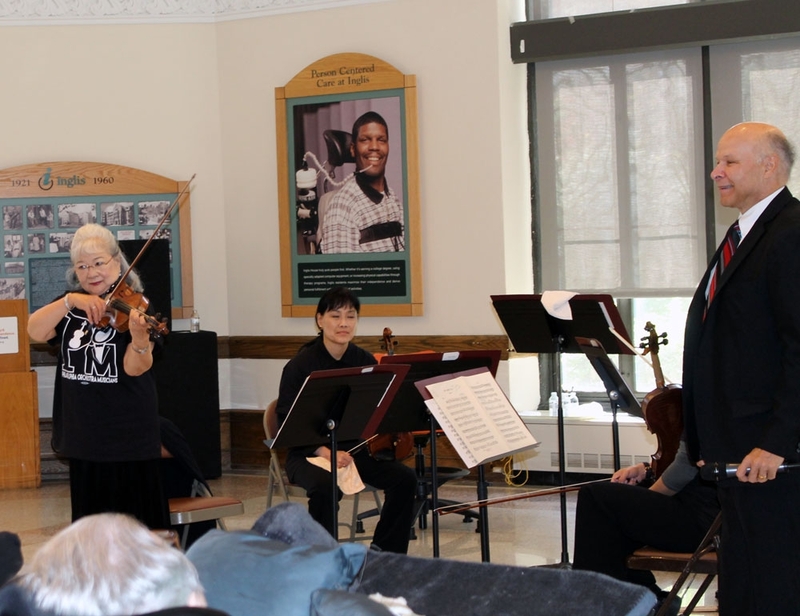 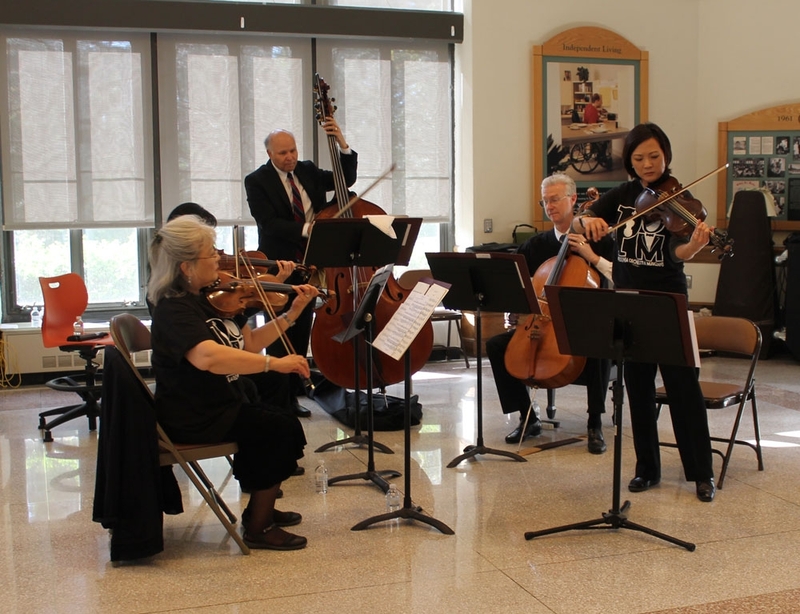 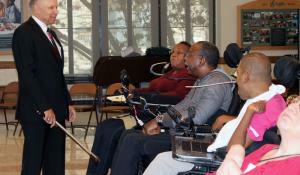 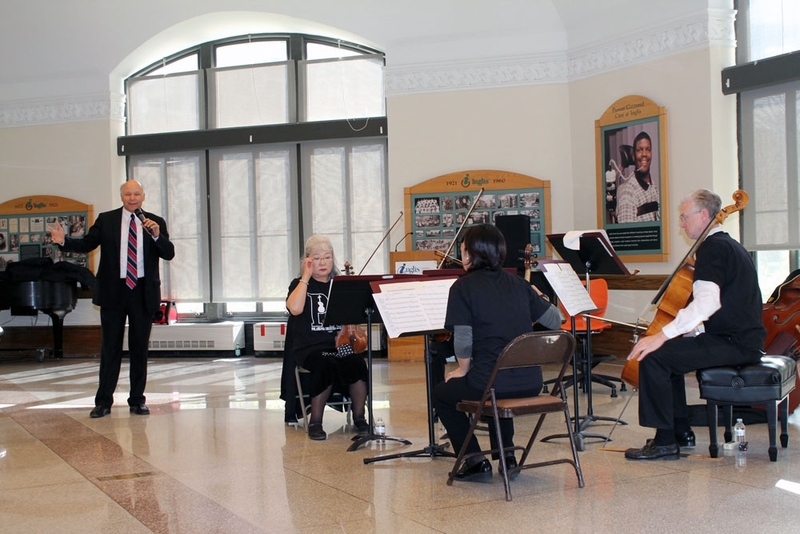 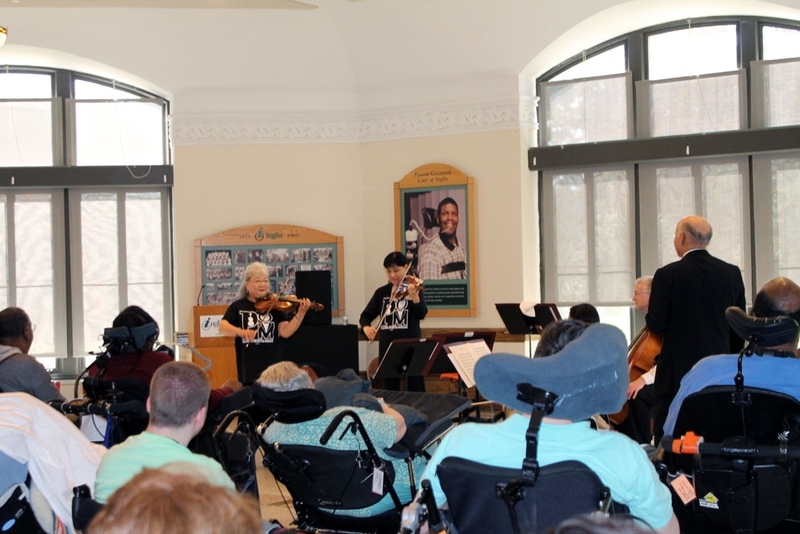 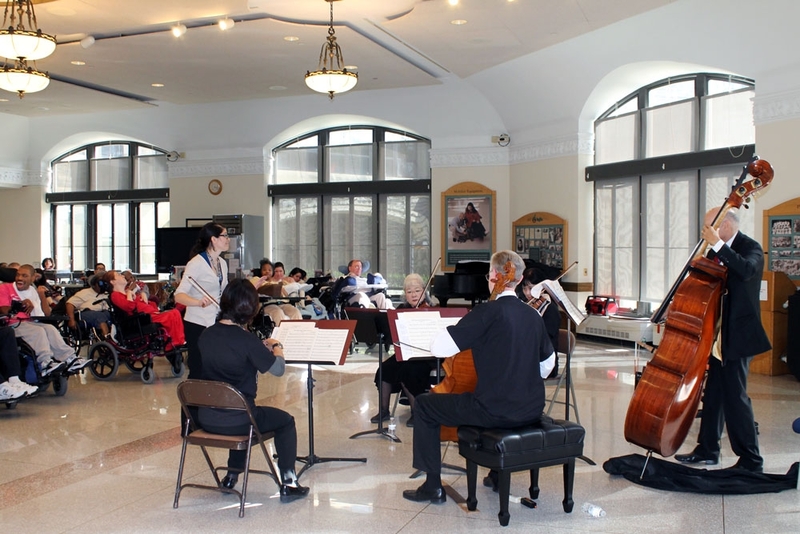 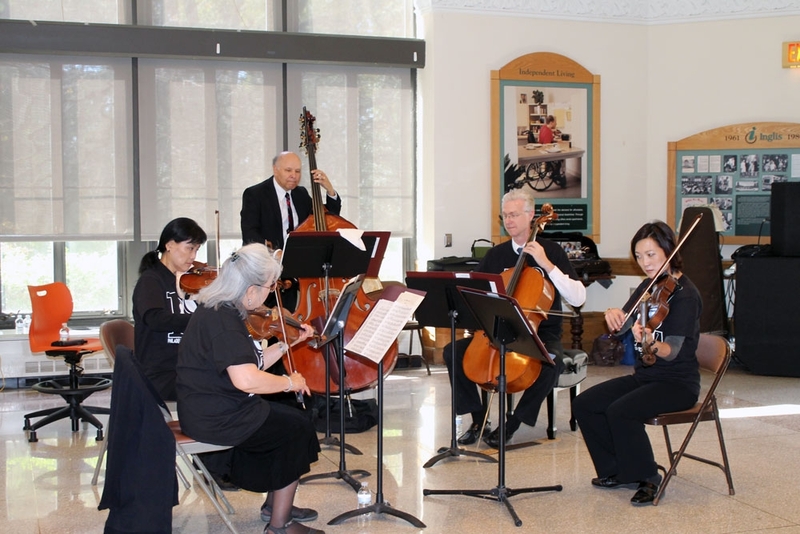 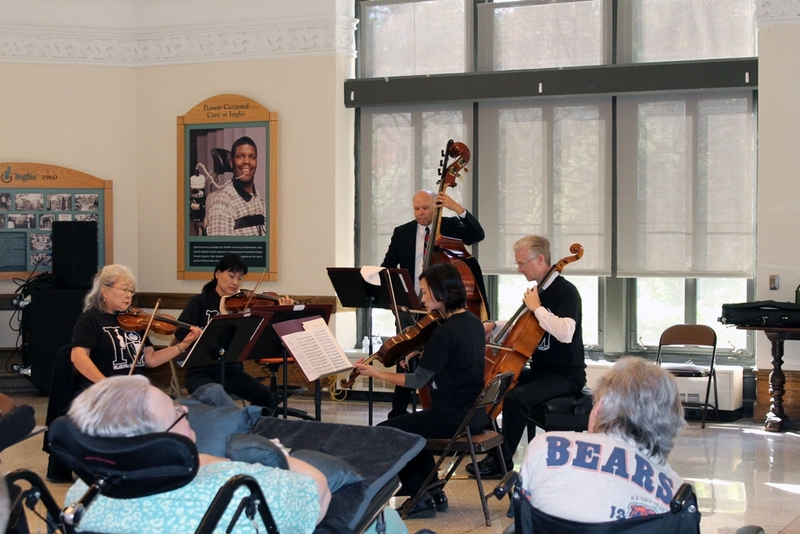 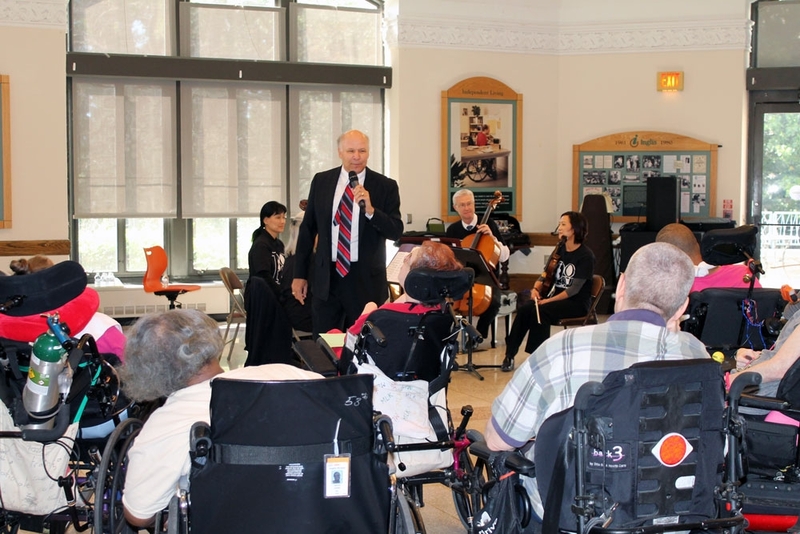 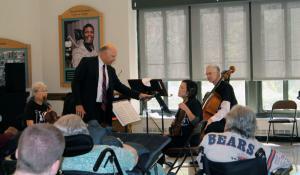 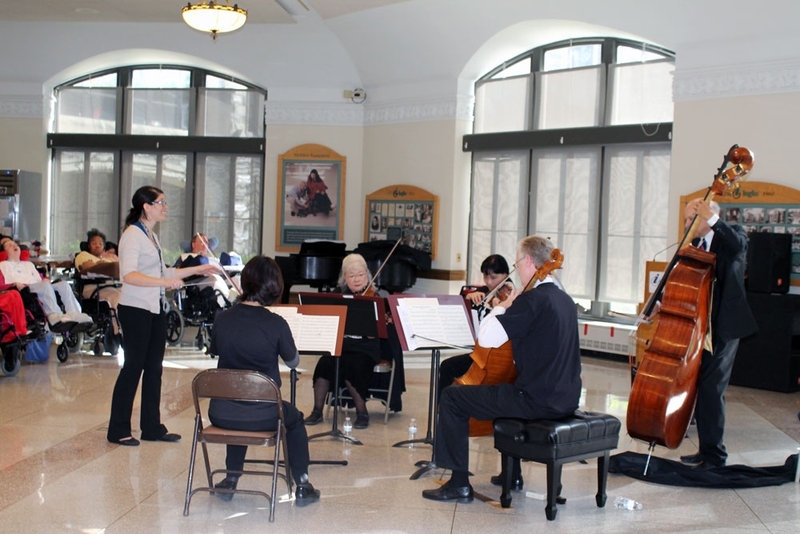 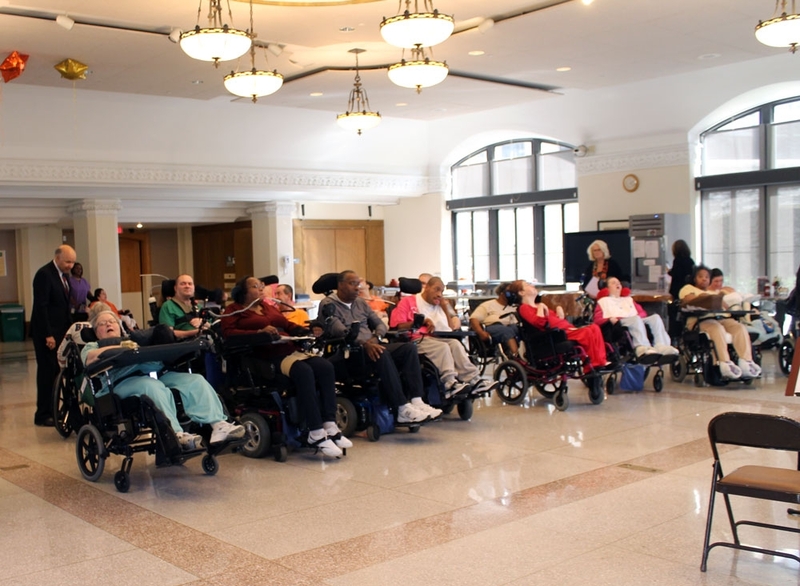 Henry Scott, bassist for the Philadelphia Orchestra, brought Yumi Ninomiya Scott (Violin 1), Hirono Oka (Violin 2), Anna Marie Petersen (Viola) and Richard Harlow (Cello) - all members of the Philadelphia Orchestra - to perform for the residents at Inglis House. 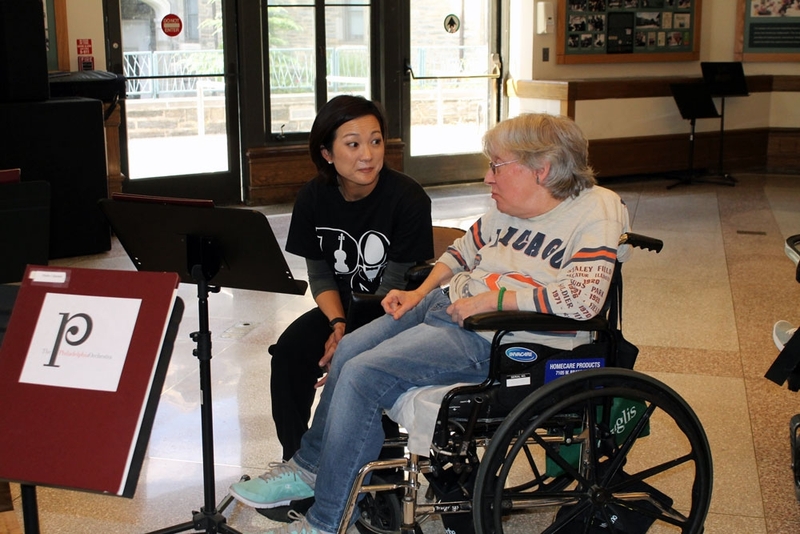 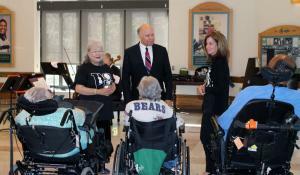 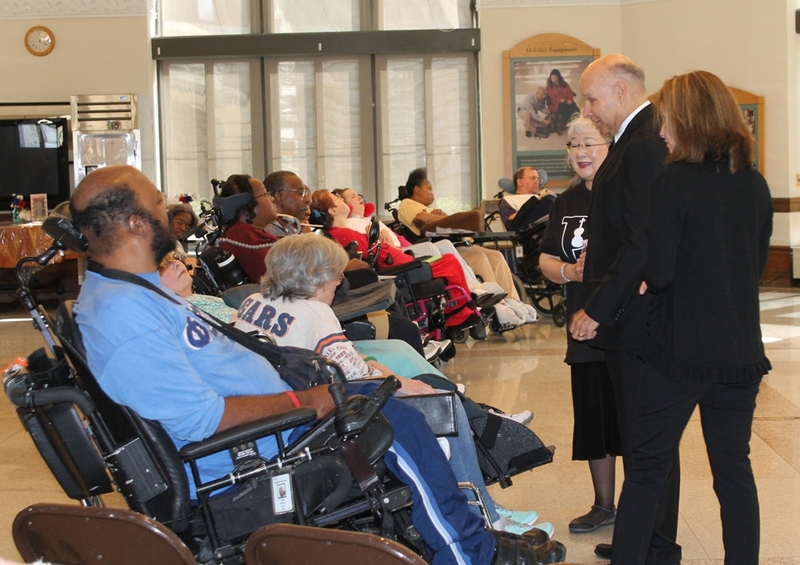 It was a magical performance, and afterward, the musicians spent time meeting and talking to residents about music, their work and their instruments. 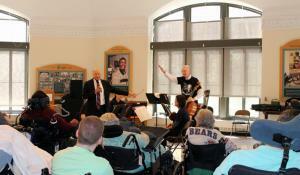 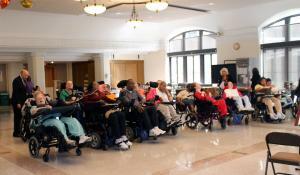 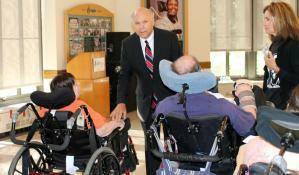 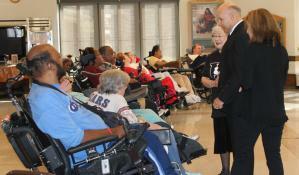 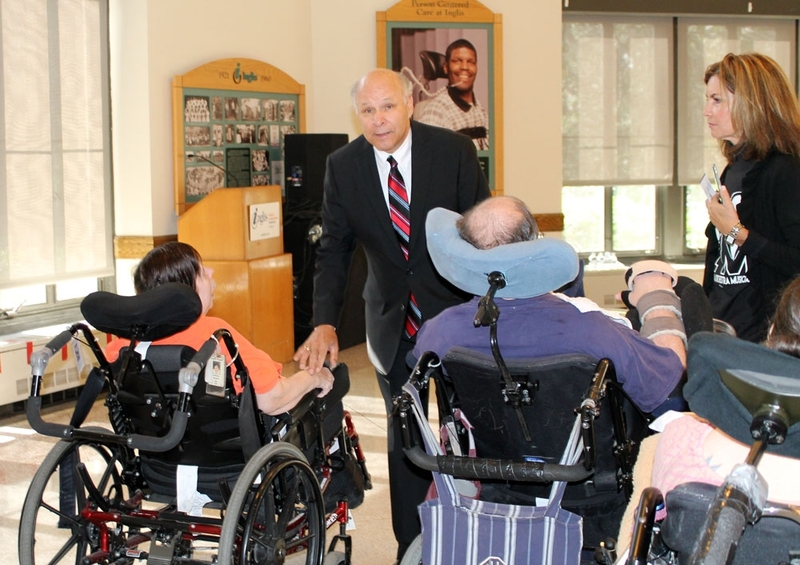 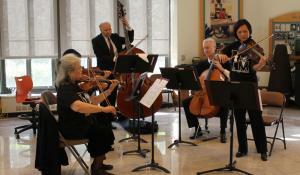 We look forward to members of the famed Philadelphia Orchestra visiting again soon. 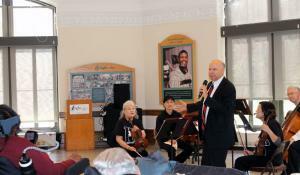 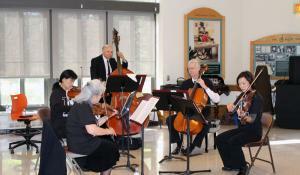 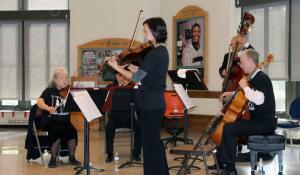 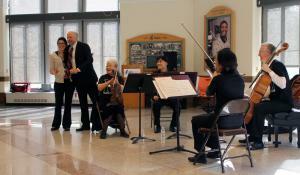 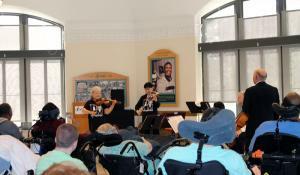 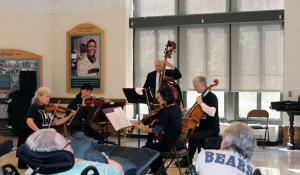 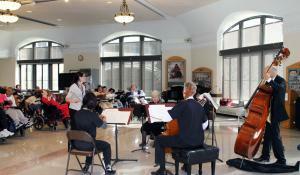 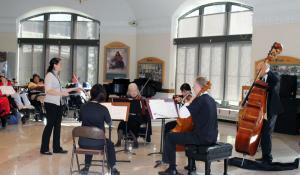 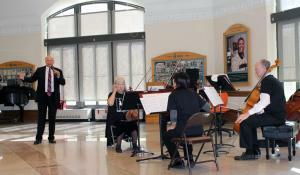 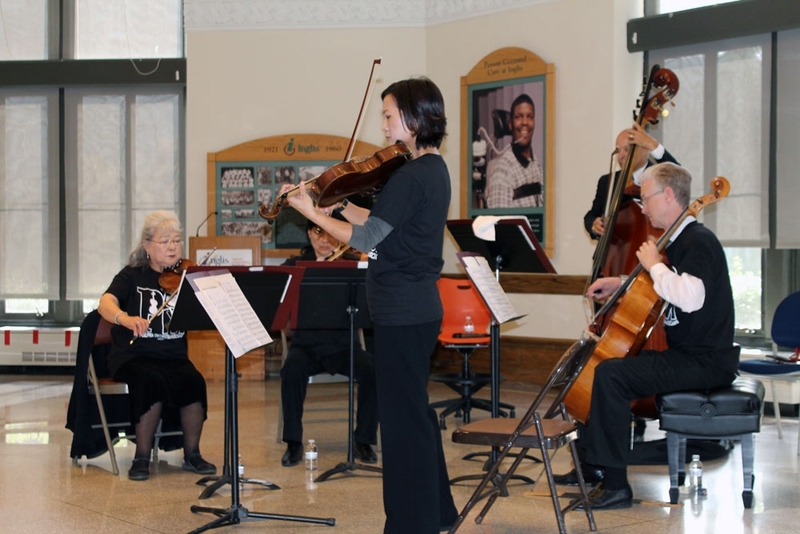 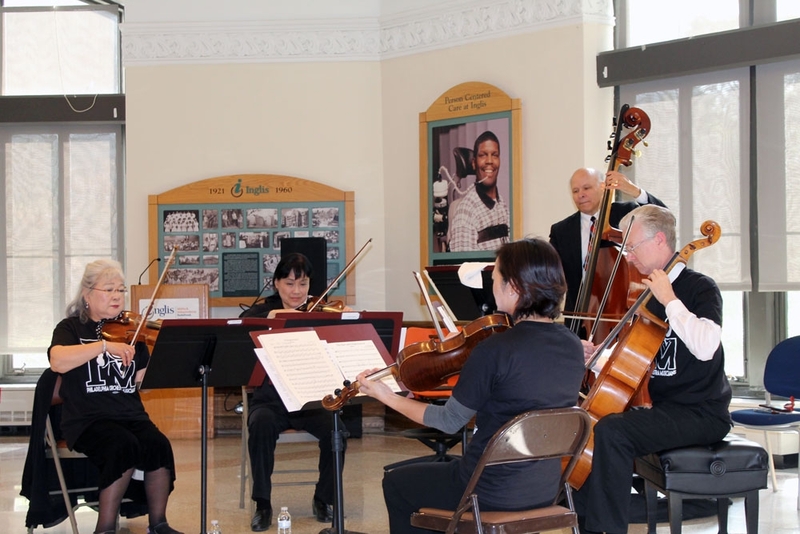 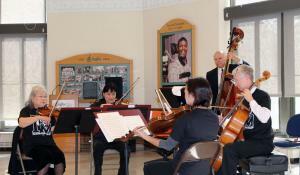 The program included: Mozart's Eine-kleine Nachtmusik; Bach's Air for the G String & Sinfonia No. 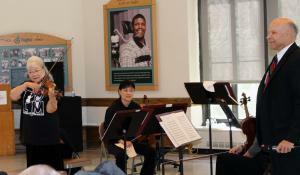 III; Voices of Spring by Strauss; as well as original works by Mr.Scott, Ms. Oka and Mr. Harlow. 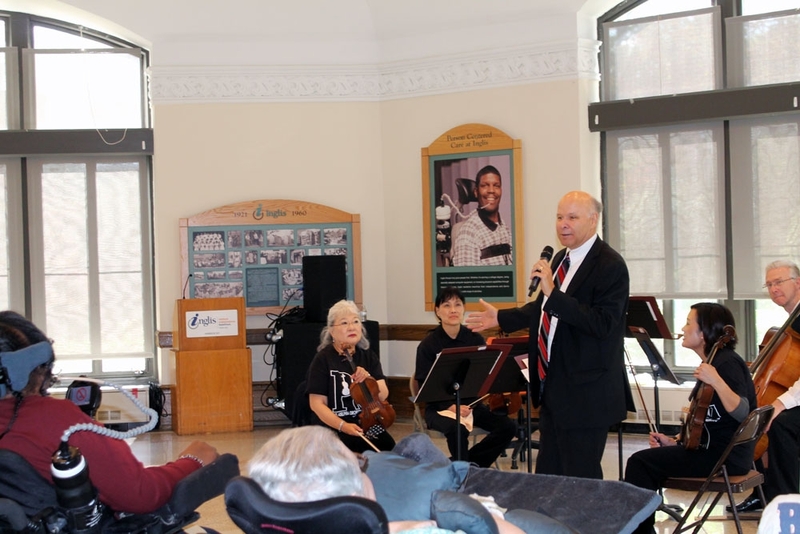 The entire Inglis Community thanks Mr. Scott, the quintet and the Philadelphia Orchestra for sharing your talents, your beautiful music and your warmth with all of us.